Cigars, Humidors, Pipes and More! Welcome to Smoky’s Tobacco and Cigars Internet Home, where you will find information about our store as well as our online shopping offerings, so please feel free to look around, surf our site for great products available online or better yet stop by and see us soon. Shop our great selection of Cigars, Humidors, Pipes and more! Smoky’s carries pipes for all budgets including: Savinelli, Peterson, Butz Chocquin, Stanwell and Servi Meershaum and others. Smokys has a great selection of premium cigars Ashton, Rocky Patel, Arturo Fuente, Drew Estate, Avo, CAO, Montecristo, Romeo y Julieta and many more. 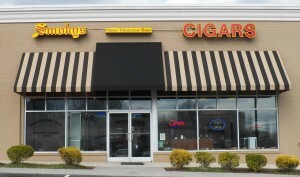 Smoky’s has over 70 bulk blends of quality pipe tobacco. One to satisfy most any taste.